A Basic simple camera trick can help you get these results and you don’t even have to “photoshop” these effects. 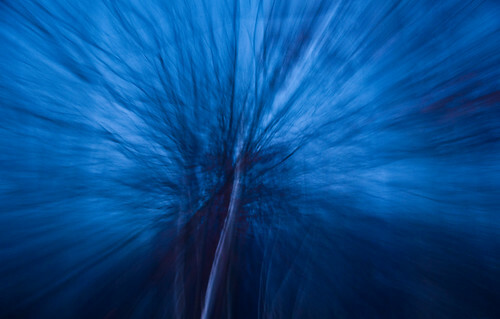 If you are on Flickr you can search for keywords like “Camera Shake” and “Camera Toss” and you will get to see many wonderful examples of this technique. This does not always work on all scenarios. You need to choose your subject wisely so that you get a good mix of colors and the picture makes sense at the end of it. 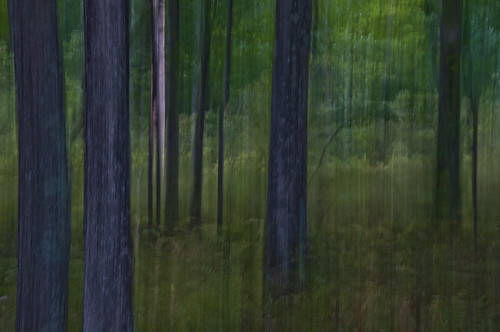 This one was taken on a trail at Bushkill falls. Its a vertical camera shake. 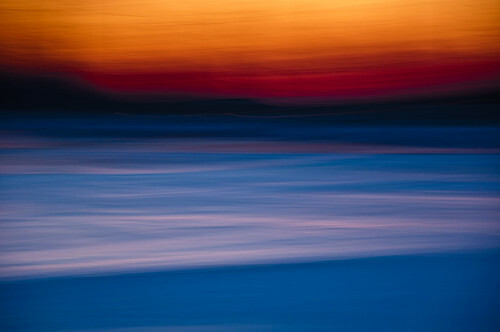 A horizontal Camera shake of a frozen lake at sunset. 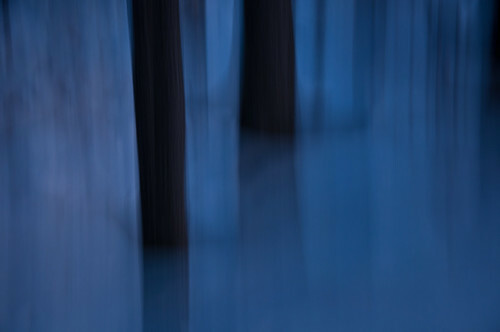 Another vertical shake after sunset of tree and snow. Sometimes you don’t really zoom, shake or toss your camera, all you need to do is keep your eyes open and you can see wonderful things. The image above was taken at Great Falls in Pasaic County, NJ. 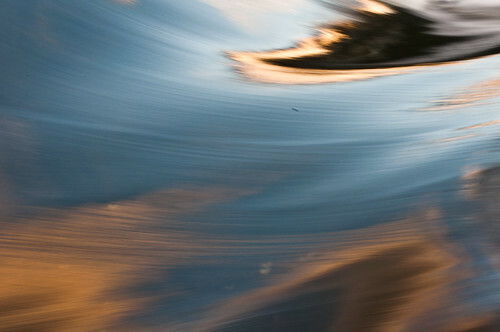 What you see is a reflection of the evening sky and clouds at sunset on the flowing water. I am seriously digging all of these! You should do more. I especially love the frozen lake at sunset and the trees and snow right underneath. Wow! BTW, have you printed any of your work and hung it? I’m sure it would look beyond stunning! I have printed a few.. gave them away to friends and family..
just recently got 6 more prints. Once I put them in a frame will show you. I want to put an exhibition in next 2-3 months.. don’t know how to go about it.